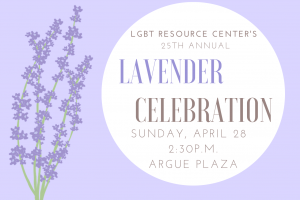 Lavender Celebration (commonly known as Lav Grad) is a free LGBTQ+ & ally annual graduation ceremony for LGBT & ally undergraduate and graduate/professional students. Lav Grad honors students and commemorates their contributions to the University community while also celebrating their unique identities. Graduates and scholarship recipients from the Lambda LGBT Alumni Association are recognized. Lavender also recognizes undergraduate and graduate student leaders and faculty/staff members with leadership awards. Following the celebration, there is a reception with food and refreshments for everyone. Previous year’s speakers have included Long Beach Mayor Robert Garcia and Los Angeles-based comedian, rapper, poet and performing artist D’Lo D’Loco Kid. 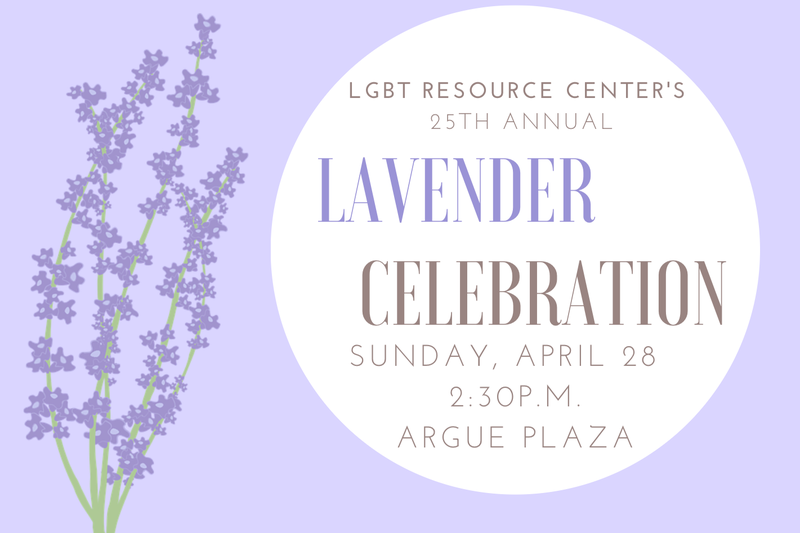 The 2019 Lavender Celebration will take place on April 28th, 2019 at 2:30pm (with reception after) in Argue Plaza, next to the Widney Alumni House. Please fill out this form (by April 22nd) if you plan to graduate this year and would like to be recognized in the Lavender Celebration. We will use the information from the form to highlight your accomplishments. Feel free to email us at lgbt@usc.edu with any questions. Any student graduating in the year of 2019 (whether that be May, August, or December 2019) is welcome to be honored.